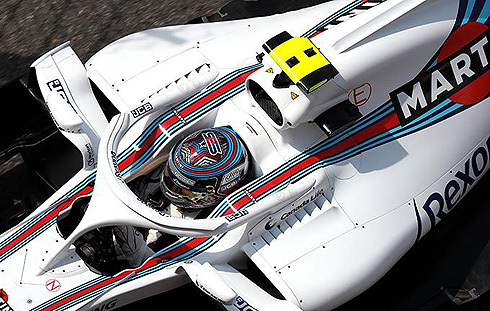 The final practice session for the 2018 Monaco GP would see the Williams Martini team finish with a mixed result. 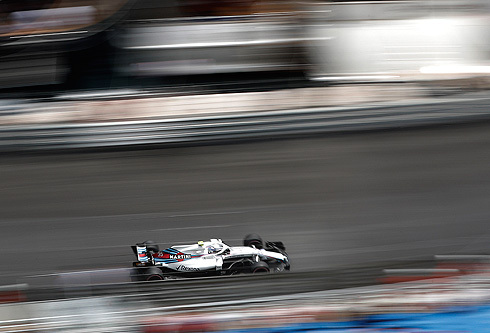 Their drivers would finish in 10th and 16th, with Sergey Sirotkin again leading his team-mate Lance Stroll. Both drivers would only use the hypersoft tyre for their timed runs and for Sergey his best lap would see him 8th dropping to 10th. A great result for the rookie Russian. As for Lance his session would again finish around 0.7 off his team-mate. The big question is whether he can reduce the gap come qualifying . As for sergey Q2 is looking very promising maybe even Q3. 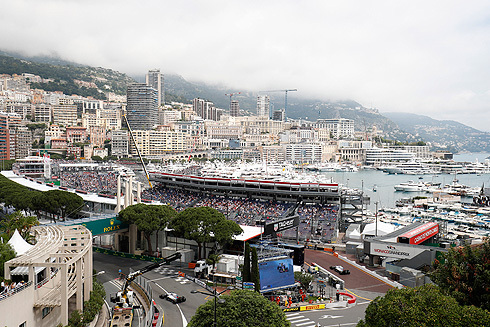 With the start of the final practice session for the 2018 Monaco GP drivers would come out for installation laps with both Williams drivers completing just a single lap using the supersoft tyre. There was a mix of this tyre and the hypersoft tyre for the drivers first run in the session. Raikkonen on the hypersoft would set a 1m:13.729 followed by Bottas on the same tyre. Hamilton was third but we now had Vettel fastest with a 1m:13.150 only for Raikkonen to move ahead with a 1m:13.033. He was followed by Vettel, Hamilton, Bottas, Hartley, Gasly, Hulkenberg and Sainz in eighth. Bottas had to use the escape area at Ste Devote escape road. Gasly and Hartley were now fourth and fifth. Raikkonen would improve with a 1m:12.978. But Hamilton would also find time setting a 1m:12.696 to go quickest. For Williams only Lance had set a time currently 11th. At the front it was now Ricciardo with a 1m:12.237 ahead of Verstappen, Vettel, Hamilton, Raikkonen, and Harley sixth. A 1m:11.990 from Verstappen would see him quickest again. But he was able to improve with a 1m:11.787. The Williams drivers were in 12th and 13th. This would become 11th and 15th as Ricciardo would improve with a 1m:11.920 but remained second. The order was Verstappen, Ricciardo, Vettel, Raikkonen, Hamilton, Hulkenberg, Hartley, Vandoorne, Gasly, Sainz and Sergey 11th. With twenty five minutes remaining the track was now quite empty with only three cars on track. Bottas would move up to fifth as the track became quite busy. But for Williams Sergey would go eighth which was a great effort. He would drop to 10th but his team-mate was down in 16th. As the session drew to a close Verstappen would crash bringing out the red flag. He had hit the inside barrier at the Swimming Pool which launched his car over the kerb and braking the suspension upon landing seeing him into the outside barriers. His car as badly damaged as a result. The session would restart with three minutes remaining. Ricciardo was able to find time going quickest with a 1m:11.786. With the session ending the order was Ricciardo, Verstappen, Vettel, Raikkonen, Hamilton, Bottas, Hartley, Gasly, Sainz and Sergey in tenth. For Williams their driers would finish in tenth and 16th. Again it was a further session where Sergey was markedly quicker than Lance. Coming into qualifying it was looking quite positive for the Russian rookie. Lance would be first out for Williams in the final practice session. He would come out on the supersoft tyre pitting after one lap. Lance would return but now on the hypersoft tyre and would set a 1m:14.156 to be ninth dropping to tenth. As Lance continued to lap the circuit he had dropped to 11th. Lance would improve with a 1m:13.741 to be tenth again. He would again drop to 11th. A 1m:13.631 would see him back in tenth the again 11th. He would drop to 12th behind the Force India pair. With his team-mate going 12th Lance would drop to 13th. After an eleven lap run Lance would pit. While he was in his garage he would drop to 15th. Lance would also return to the track with twenty minutes remaining also using new hypersoft tyres. A 1m:13.595 would see Lance remain down the times currently in 16th pitting. lance would also quickly come back out with the session restart. He would not improve ending in 16th. Sergey would come out early also on the supersoft tyre. With nearly fifteen minutes completed Sergey had yet to come out. With twenty minutes completed Sergey would finally come out running on the hypersoft tyre. Sergey would set a slow 1m:15.074 to be slowest but it looks like it was a lap to check things out. He was able to improve with a 1m:13.596 to be 12th pushing his team-mated own one place. But Sergey would improve again with a 1m:13.294 to now be ninth. He would drop to 11th to be behind Sainz. Sergey would pit after a eight lap run. After a short stop Sergey would come back out on a new set of hypersoft tyres. Sergey would improve with a 1m:13.114 to be ninth but he would drop to 11th. His next quick lap was a 1m:12.854 seeing him eighth. He would drop to 10th. Sergey would pit with a red flag but with the restart he was quickly back out. He would not improve but would finish a very positive tenth.